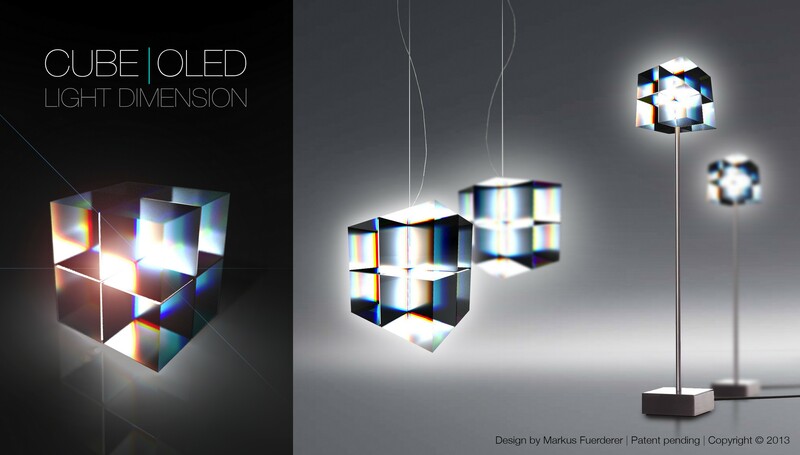 Markus Fuerderer, the creative mind behind the luminaire design CUBE|OLED explains: “Depth, Transparency and Contrast" - these fundamentals of visible light are interpreted in a pure, monolithic luminaire design. 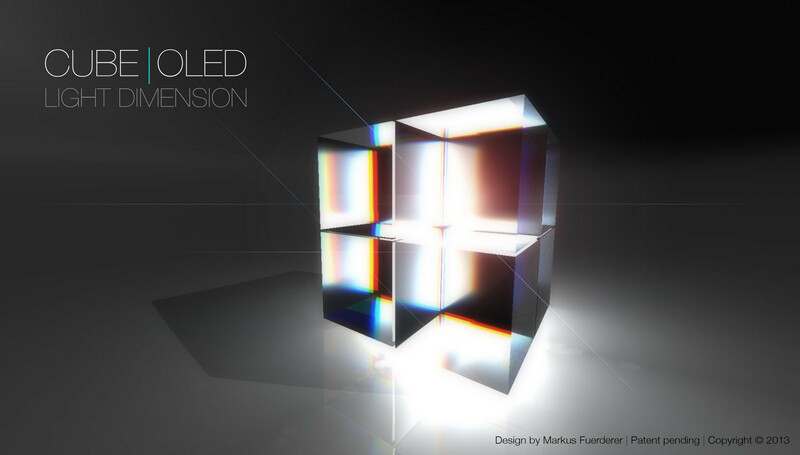 12 transparent organic light emitting diode (OLED) panels are arranged in an orthogonal coordinate system and laminated in between 8 optical/clear crystal glass cubes. Via transparent circuit paths applied on the inner glass surfaces, the assembled OLED panels are supplied with electricity. 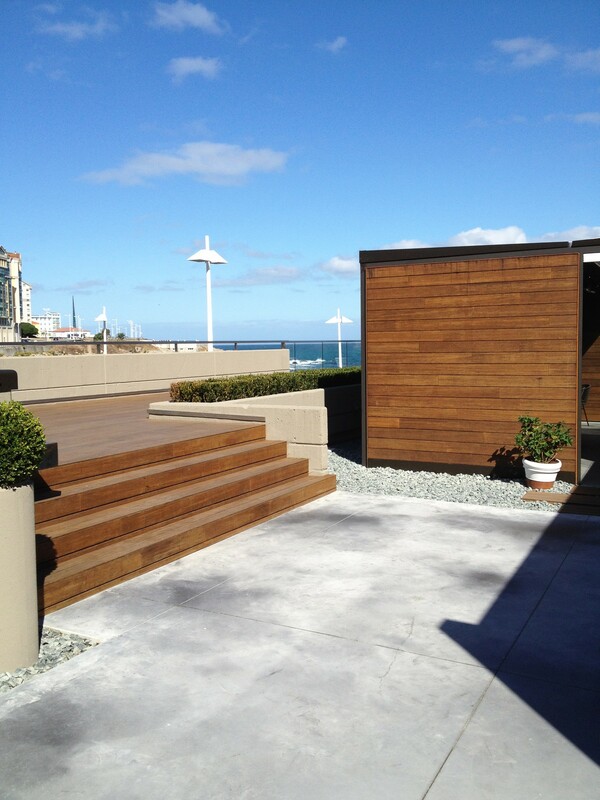 When activated, the integral array transforms this transparent monolith into an omni-directional light source without revealing the secret of 'how' it illuminates. 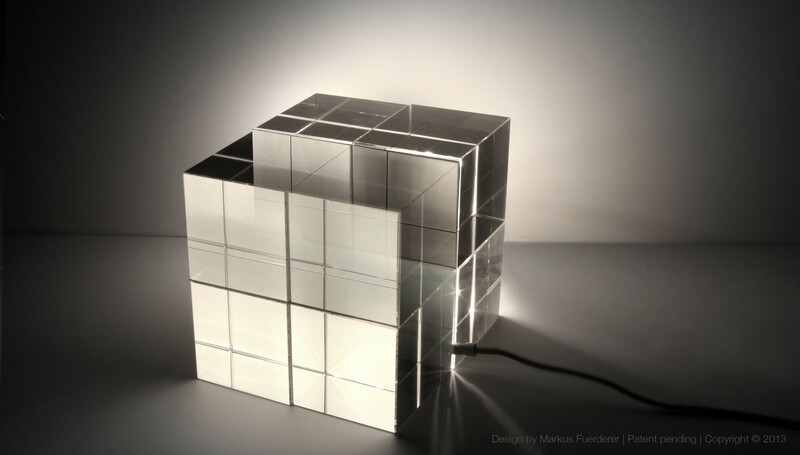 The research for this project was focused on the use of existing transparent OLED panels for illumination purposes. 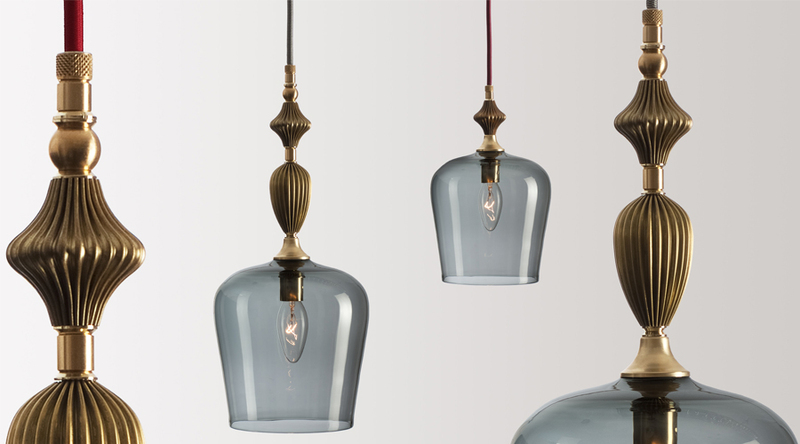 To date there aren't any luminaires existing that are based on transparent OLED technology. 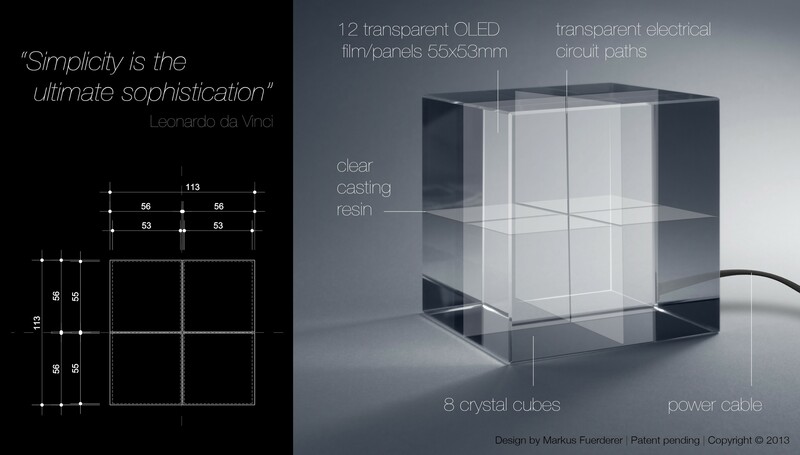 The patent pending CUBE|OLED design aims to combine an array of OLEDs in a pure modular element, that adds an intellectual dimension of Depth, Transparency and Contrast when activated.